WOMA Miretti’s vision to become the most sophisticated manufacturer of Hazardous Zone Equipment is fast becoming a reality. Their experienced team is now offering bespoke pump and plant solutions for Zone 1 and 2 environments with IEC ex and ANZ ex certification and ATEX compliance. 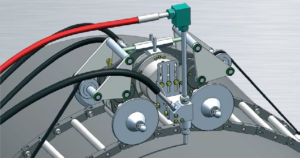 As an example, the Zone II Group 2A positive displacement pumps provide cleaning, cutting and surface preparation capacity whilst the Zone II Group 2A Vacuum system enables full encapsulation and product retrieval. 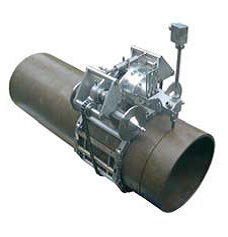 A range of associated accessories compliment the range to provide dynamic solutions to Australia’s subsea, topside, offshore and onshore facilities. The new WOMA ECO TOP Cutter 3000-EX is a heavy duty that was developed for the precision cutting of pipelines. 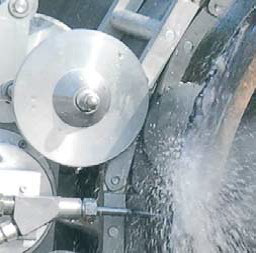 Superior technology within the cutter enables the precise, circular cutting of up to 40mm wall thicknesses making the 3000-EX the leading cutting unit for the subsea and oil and gas industry. 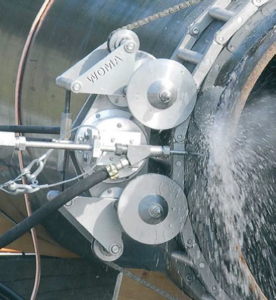 The WOMA Eco Master Cold Cutting System for EX Zones uses an ultra-high pressure water jet up to 3000Bar, an abrasive injection and the latest 21 S-EX nozzle to effectively cut pipelines with diameters from 500m. The ECO TOP Cutter 3000-EX has been certified exclusively for WOMA by the Bundesanstalt Bundesanstalt für Materialforschung (BAM – Federal German Institute for Material Testing) and approved for use in Zone 0, equipment category 1G. 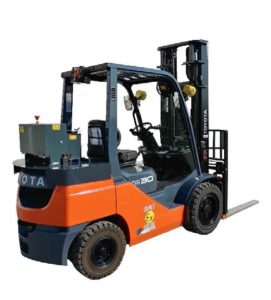 WOMA Miretti’s leading edge conversion of Fork Trucks to meet the exacting ATEX and IECex Zone 1 standards is opening up new frontiers for Australian industry by enabling the safe and efficient operation of vehicles in what were otherwise proverbial ‘no-go’ areas. 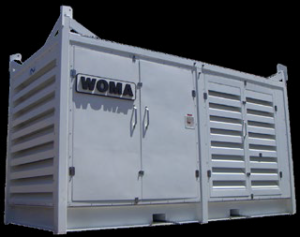 With satisfied clients in Oil & Gas, Mining, Manufacturing, Chemical processing, Explosives manufacture and the Petro-Chemical industry, WOMA is confident of its capacity to provide workable solutions which mitigate risk for both the employer and the employee.